WILLEMSTAD - By issuing the 'Subsidy' report on deviations from the government's subsidy policy between 2010 and 2015, the Curaçao Court of Audit (ARC) again sketches a disconcerting picture of how the government deals with community funds. The report does not explain why the government does or fails to do so and why 'checks and balances' apparently do not work to keep ministers and civil servants in line. There is a clean task for lawyers and criminologists, but even more so for sociologists and anthropologists. On the basis of the research, it appears that the ministries do not keep proper records with all relevant documents, including the documents that must be added to the subsidy application. Annoying side-effect is that the ARC therefore has no idea of the completeness of the submitted subsidy applications. It is possible that all documents from the relevant institutions that applied for a subsidy have been submitted, but the ministry now does not have these documents in any case. The ARC also concludes that not all subsidies granted have been according to the law because they do not comply with all the provisions of the subsidy regulation. This involves a total of 361 grants (65 percent of the total) that amounted to 475.3 million guilders. Most notable unlawfulness is the provision of over 14 million guilders provided by ministers in the Schotte government without an adequate budget, but subsequently approved by parliament. At 361 grants, 60 percent of the total, institutions do not appear to have reported their accounts in the form of an activity report and an annual report / financial report. In a large number of cases this concerns missing accounts for subsidies higher than 300,000 guilders, for which an auditor's report is also required for the annual accounts. All of course contrary to the provisions of the subsidy regulation. 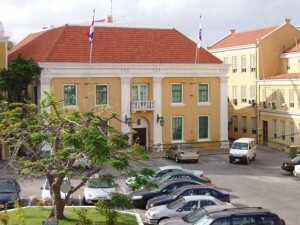 According to the ARC, the Council of Ministers made decisions during the period under review to pay subsidies without the relevant institutions having submitted the required accountability documents and having allowed both the institutions and the ministries to deviate from the subsidy regulation on a structural basis. The final phase of a subsidy trajectory concerns the process of determining the granted subsidy amount by the minister. This is done in a so-called determination decision. ARC notes that the majority of the grants awarded have not been established. This decision is missing for 575 out of the total of 614 grants. This involved an amount of almost 700 million guilders. 94 percent of all subsidies were not determined by the minister in this way. For this subsidy, ministers and ministries therefore do not have a tool to withdraw or reduce subsidies if the institutions do not meet their obligations. It should come as no surprise that the government has not formulated a subsidy policy so far. Subsidies have in many cases been granted on the basis of the policy intentions - whether or not included in the coalition agreement / program, but often without a policy framework being developed for this. Ministries do not sufficiently ensure that institutions submit a full subsidy application in time. They make no clear agreements with the institutions that receive subsidy on their accountability and the consequences of not meeting the requirements. There are no officials specifically charged with monitoring compliance with the subsidy provisions. More shocking is the ARC's finding that ministers abuse the subsidy regulation by using the funds to finance operating deficits. According to the Ministry of General Affairs that is not strictly prohibited, but that is incorrect according to the ARC. The picture that is given in the report is of a sloppy government, to put it mildly, and a bit harder, an incompetent government, which fails to properly organize the outsourcing of policy and to manage it well after its organization. This is a reproach to previous governments (Schotte, Betrian, Hodge, Asjes, Whiteman I and II), but also the governments afterwards, Koeiman, Pisas and Rhuggenaath. The latter can actually make a change now. In his speech on the occasion of the 33th anniversary of development bank Korpodeko, the Prime Minister indicated that he would work on a code of conduct for civil servants and publishing public sector information. His plans to set up an Integrity Office and to entrust investigations into integrity at the ministries only make sense if the government keeps its own laws. The report of the ARC shows that this is not the case with the subsidy.